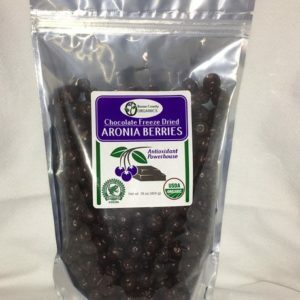 Boone County Organics | Premium Organic Aronia in Boone, Iowa. They started Boone County Organics as an organic fertilizer and consulting company, primarily for farmers raising food crops. 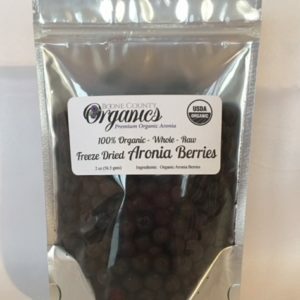 Aronia growers are the focal point of their business, giving them access to some of the best quality berries in the country. Their clients are located in Iowa, Minnesota, Nebraska, Missouri, and Wisconsin. 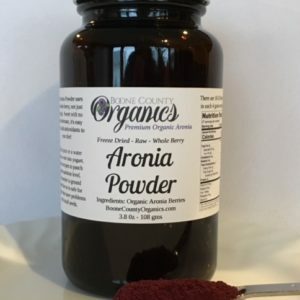 One of the most talked about and exciting effects of including Aronia in your diet is that the high levels of antioxidants provide a natural defense against colon cancer. Taking Aronia regularly can help athletes recuperate more quickly after rigorous work-outs. The compounds in this berry seem to limit the damage to red blood cells by enhancing the antioxidant defense system. 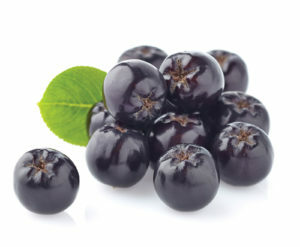 Including Aronia regularly in your diet can reduce your susceptibility to colds and flu. The activity of the antioxidants can also kill Staphylococcus and E-coli.